Don’t know how to deal with locked iCloud iPhone / iPad and looking for simple & working method to bypass iCloud activation lock? If yes, then you have landed on right place. In this guide, we are going to share 5 best iCloud bypass tools 2018. User’s data security and privacy is the most important task for Apple Company. For this purpose, Apple designed an iCloud app for their iPhone & iPad [iDevices] users. iCloud is an data storage app that apple provides officially. User can sync their phone data and iPad data directly on Apple secure servers by using iCloud account. Same as, user can sync or access online data over the internet easily. Apple iCloud account app is almost same as Xiaomi mi account. It’s important to know that you have to enter Apple ID and password to activate it again after factory reset. It’s because of security reason. User can put correct iCloud account ID and password to unlock iCloud account but what if you forget the iCloud credentials. That time you have only one solution, just bypass iCloud activation lock using iCloud Bypass tool. So if you are in the same situation and don’t know what’s Apple id & password and unable to unlock icloud after reset then follow the guide to find 5 Best icloud account bypass tools 2018. All the below listed iCloud activation lock bypass tools are working and tested successfully. So you may try them on your own iPhone & iPad. Icloud app is an official app to sync and access data over the internet. Moreover, it’s designed to protect iPhone & iPad data including “find my iPhone” function. After creating a iCloud account on the apple device, password will be required all the time when others trying to turn off your My iPhone function, erase data or reactivate and use your device. In this way your Apple device and personal precious data is fully secure by Apple. In case you are going to buy any new Apple devices like iPhone, iPad, iPod and apple watch etc, it’s highly recommended to enable or activate the apple iCloud account to secure your device. Well, we already told you icloud is a security feature of the Apple device and it helps you to secure your data from unknown person. But sometimes it’s must to remove iCloud account to access the device again. Reasons may be different for different users, but we are listing few most important reasons to bypass iCloud account from iPhone & iPad etc. If you bought a used iphone/ipad/ipod and Find my iPhone function is enabled on the iDevice then how you can setup the apple device again? In that condition, you can call that person to ask the idevice apple ID & password. But in case, there is no any chance to get correct iCloud credentials then you have to pick iCloud bypass tool to remove apple iCloud account successfully. If you have enabled icloud account on your own iPhone or Ipad and reset it for any how reason. Then you have to enter the correct apple ID and password to setup the device again. But sometimes it may possible; you forget the existing apple ID & password. So what you will do in that case? Yes, iCloud lock bypass method is the only solution to deactivate or bypass iCoud activation lock. These are the most common reasons to bypass iCloud activation lock from Iphone or iPad devices. 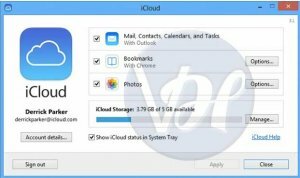 So check the below section and learn how to remove iCloud account using iCloud account bypass tool? Or how to unlock iPhone icloud account easily? It’s really very important to understand that since there are numbers of tools are available to remove iCloud lock and they can help you to setup the device again without iCloud activation lock passcode. Some of them are free and some are available as a paid service. It may be a little hard to find the best iCloud bypass method. So here we are listing some reliable and working Iphone Icloud bypass methods and tools with their pro & cons. Read the description of the tools and find one of the best iPhone iCloud activation bypass tool for you. First you should to apply official Apple method to unlock iPhone iCloud account. If you bought an used iPhone or any iDevice then try to contact the real owner of the device. Ask them for correct Apple credentials, so you can unlock iPhone officially. Owner can do it by using the device or from their own home. Login to their account from any iDevice. Select the device which he wants to remove from the account. Choose Action and then erase iPhone by re-entering their Apple ID. After erasing the device, he can remove the device from their Apple account. iCloud bypass tool Doulci is #1 iCloud unlock tool and get the top rank in the list of best top 5 iCloud bypass tools 2018. It’s very easy to use icloud unlock app for any new and advance users. Best thing is that it’s user friendly and quite efficient. In year, 2016 it was the most popular and working method to unlock iPhone iCloud account but after releasing of new iOS 11.3 beta tool being outdated. Now they come back again with new 2018 activator toot that’s supports all the latest iOs. Multipurpose tool including icloud activation bypass method. 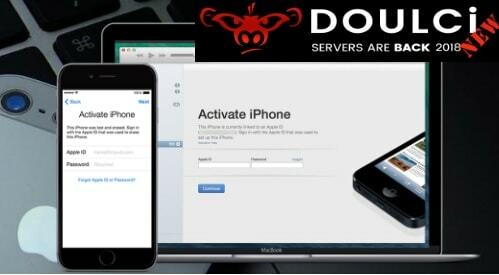 Doulci activation tool is the working software for all windows and MAC. Unlock iCloud from any iOS device including iPhone, iPad, iPod & Apple watch. iCloud bypass tools can be used offline easily. It’s custom script. It support the almost all iOS device likeiPhone, iPad, iPod and apple watch etc. It’s also available as a free icloud bypass tool 2018.
iCloud Bypass Tool 2018 is free but you have to complete the survey to fill the server cost. Many users find hard to complete the survey. Many users report that they are not satisfied with this tool and it has 3.5 rating. Officially they claim that they offer the complete solution for almost all new and older iOS based apple devices. As we already told you, it’s very user friendly and easy to use iCloud bypass tool for all new and advance users. No any technical skill required to perform the task. Just follow the iCloud bypass tool instruction and leave everything on it. Doulci iCloud software will make it easy for you without any extra effort. iCloud Account Bypass Instructions: Go to official site of Doulci iCloud bypass tool >> Download free iCloud bypass tool or paid software >> Enter your contact information and complete the survey to get it free. iCloudin bypass tool is another one of the best iCloud bypass tool if you are searching a perfect tool to remove iCloud account from your own apple device. Best thing about this iCloud bypass tool 2017 – 2018 is that it’s fully compatible with any Apple device. It’s completely free and easy to use icloud unlock tool. iCloudin bypass tool is the best icloud bypass software and highly recommended by the deep web iPhone community. Download iCloudin Bypass Tool on desktop. Connect the iPhone and any other apple device with pc via USB cable. Launch iCloudin bypass tool as administrator. Go to “Device” section and select your own device name from the list and click next. Now tool will activate and will start the activation process automatically. Remember: Here it may take long time to complete the activation process and device will reboot after successful unlock. iCloudin Bypass Tool support almost all iOS devices. 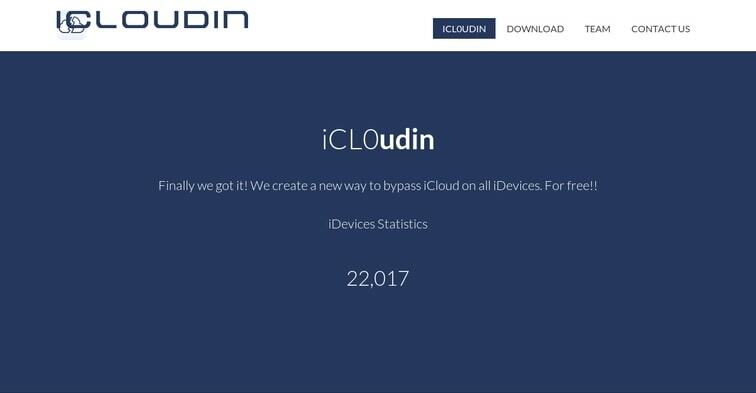 iCloudin Bypass Tool is free to use for everyone. Highly recommended iCloud removal tool with positive reviews. Easy to perform for all new and advance users. Official site is little bit confusing and you may find it annoying. iCloud bypass process is very time consuming and it may take long time to unlock the device. 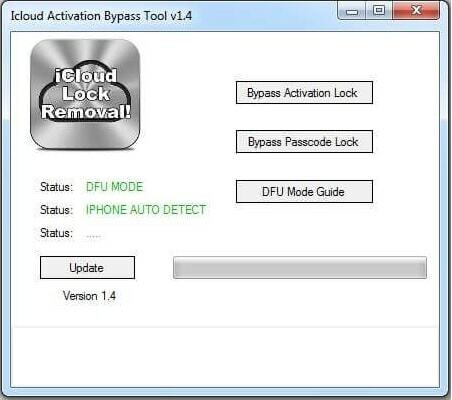 iCloud Activation Bypass tool v1.4 is next iCloud bypass tool in our list. If you are going to bypass icloud from iPhone, iPod touch, iPad mini and iPad air then you can continue this iCloud unlock software tool. Without any doubt this iPhone iCloud bypass tool is working but speed is little bit slowly in comparison of other listed iCloud bypass tools 2018. Method to use iCloud Activation Bypass tool is quite simple. Just attach the device with pc via USB cable >> launch the tool >> select the correct COM port from tool. Next, tool will detect the device and capture the IMEI number of the device >> unlocking process will start automatically. It’s another free iCloud bypass tool for apple devices. No need to pay any money to use this free iCloud unlock tool. This tool is very easy to download and use without any extra effort. So you can remove iCloud account using “Remove the locking tool iCloud activation tool” easily. Although it’s not so much popular iCloud bypass software as others but it’s efficiency is very good. You should try for once. It’s allows user to unlock apple icloud account without password with extra support and information. Remove the locking tool iCloud activation tool is free. Direct download without any survey and fees. Official iPhone Unlock Tool is another famous online service to unlock iPhone without password. That means user can bypass iPhone iCloud account online easily. No need to apply Jailbreaking [Root] to unlock iPhone. Just enter the correct IMEI number of locked iPhone and device name and it will start their unlocking process as a service provider. Basically it required the device model number with IMEI number and unlock iPhone via iTune database. 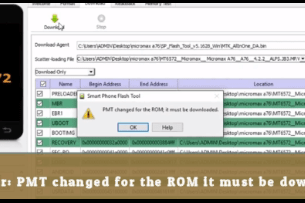 Easy and simple user interface included iPhone unlock tool. It’s online service, so no need to download and install any iPhone unlocker tool on pc. Positive reviews from iPhone users. It’s working and it is a reputed tool. Tool is not completely free iPhone iCloud account bypass tool. Need to pay money. Select device model name from drop and down list. 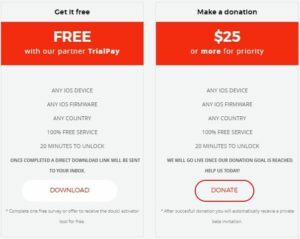 Click on add to cart and pay iPhone unlock fees. This is an another addon iCloud activation bypass trick which you can use to remove iCloud Activation lock if it saying “this iphone is linked to another apple id enter the apple id and password that were used to setup this device.” Best thing is that no need to use any password to unlock Iphone activation lock. We will do it with wrong passcode. Believe it or not, but it’s working trick. Go to “Activation Lock” screen and click on “Unlock With Passcode” option>> select “Use device passcode”. In next step, enter any wrong passcode. It will show “wrong passcode” error. Don’t worry; just repeat the process again and again. NOTE: It may be very time consuming process but it’s worth to unlock iPhone iCloud activation lock without password and apple ID. After applying the same process again and again, in the last it will ask you to enter the passcode without any error. DONE!!! For more help please check the video and learn how to remove iCloud Activation Lock on iOS 11 without password/passcode? So guys, these are few best iCloud bypass tools 2018 which you can use to unlock your own iPhone and any other apple devices. Read the full detail of icloud bypass software & tools, select any one tool from the list and start bypass iCloud activation lock without extra effort. It’s must to know that there are so many other icloud unlock tools and methods are available on the internet. But we have listed only few working and best iCloud activation lock removal tools 2018 according to the user’s reviews and their ratings. Same as you have option to bypass iCloud account by using hardware hacks. 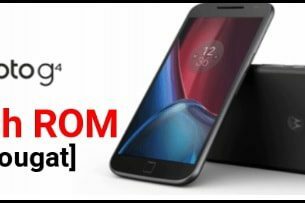 You may also apply them but before going to apply any others hardware solution, it’s highly recommended to go to an expert since small mistaken could irreparably damage your device permanently. I hope, now you have enough knowledge about iCloud removal tool software including best iCloud bypass tools 2018. So now you are free to test the listed icloud activation lock bypass tools 2018. Till now getting any issue to use or download icloud bypass tool, please notify us. We will try to reply soon as much as possible.